YONKERS, New York, October 7, 2014 (ENS) – U.S. packaged foods containing corn or soy and labeled “natural” sampled by the product testing group Consumer Reports were found to contain genetically modified ingredients, the group reported Tuesday. Breakfast cereals, chips, and infant formula were among the common food items containing genetically modified organisms, or GMOs, according to tests conducted this summer by Consumer Reports, the world’s largest independent product-testing organization. Some of these foods carry labels like “natural,” suggesting they are free of these controversial ingredients. Click here to find the Consumer Reports GMO testing report online. A recent survey of 1,000 American adults conducted by the Consumer Reports National Research Center showed that a majority of people, 64 percent, mistakenly equate the label “natural” with GMO-free. The same survey showed that nearly three-quarters of all Americans are seeking foods produced without genetically modified organisms. Vermont recently passed legislation requiring GMO labeling, and similar actions are being considered in more than two dozen other states, including Colorado and Oregon, where residents will begin voting on a GMO-labeling ballot initiative in late October. Genetically modified organisms are created by deliberately changing the genetic makeup of a plant or animal in ways that could never occur in nature. The majority of GMO crops currently on the market have been genetically engineered to produce their own pesticides and/or withstand herbicides that normally would kill them. Farmers use the herbicides to control weeds. The federal government has not required that genetically modified organisms be proved safe before they are used in food. But safety assessments are mandatory in other major developed countries, including China, Japan, and the 28 countries of the European Union. Some animal studies suggest that GMOs may cause damage to the immune system, liver, and kidneys. Consumer Reports wanted to see how many foods sold in the United States contain GMOs, and whether or not people could rely on packaging claims that suggest there are no GMOs in certain products. Between April and July 2014, the organization bought more than 80 different processed foods containing corn or soy, two of the most widely grown genetically engineered crops in the United States. It tested at least two samples of each product – each sample from a different lot – to measure GMO content. Consumer Reports compared the test findings with product claims to determine which ones were valid, and which ones were not. In order for a product to qualify as non-GMO it had to have no more than 0.9 percent genetically modified corn or soy. In the European Union, ingredients that are greater than 0.9 percent GMO must be labeled as having GMOs. Organic and Non-GMO Project Verified. These two labels are independently certified. All of the products Consumer Reports tested with these labels qualified as non-GMO. “Organic” claims indicate that a third party has certified that the product complies with federal regulations, which forbids the use of GMOs in organic. And many of the products labeled “organic” also make some kind of non-GMO claim on their packaging. The Non-GMO Project Verified label certifies manufacturers’ products through third-party testing. Uncertified non-GMO claims. These claims made by the manufacturer, which may include the words “No GMO” or “Non-GMO,” have no standard definition and don’t require independent verification. Even so, most of the products Consumer Reports tested that made an uncertified non-GMO claim met non-GMO standards. No Claim Related to GMO. Nearly all of the samples Consumer Reports tested of the products that did not make any non-GMO related claim on the package did, in fact, contain substantial amounts of genetically modified corn or soy. Natural label. Virtually all of the samples Consumer Reports tested of products that made only a “natural” claim had a substantial amount of genetically modified organisms. 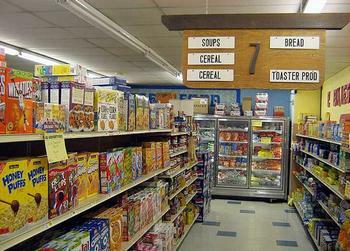 The government does not have a formal definition for the “natural” label on processed foods. “Until GMO labeling becomes mandatory, consumers who want to avoid GMOs should look for “organic” or “Non-GMO Project Verified” labels. We also believe that since consumers are being misled by the “natural” label: it is yet one more reason “natural” should be banned on food,” said Urvashi Rangan, PhD, executive director, Consumer Reports Food Safety and Sustainability. Consumers Union, the policy arm of Consumer Reports, supports mandatory labeling of GMOs. Because Consumer Reports’ tests represented only a small slice of the market, the organization cannot draw conclusions about all products containing corn or soy, or about every product for a given brand. But until genetically modified organism labeling becomes mandatory, the test results can help consumers decode the meaning behind the claims seen on grocery store shelves. Using its more than 50 labs, auto test center, and survey research center, Consumer Reports rates thousands of products and services annually. Founded in 1936, Consumer Reports has over eight million subscribers to its magazine, website and other publications. Its advocacy division, Consumers Union, works for health reform, food and product safety, financial reform, and other consumer issues in Washington, DC, the states, and in the marketplace.